Using our Stephen Hawking approved design for a real time machine, we journey to the dawn of the last century. These 200-plus-ton behemoths are the quintessential embodiment of the leading edge of engineering and technology, and have already dramatically changed the world by making it possible to go to far away destinations in a few days, not a few weeks or months by sea. But like all great machines, they were also doomed to extinction by the need for more speed, more pulling power, more efficiency, and… just plain more! Somewhere in the quiet suburbs near Chicago, Lee DeForest was experimenting with the then brand-new technology of radio, seeking to invent a solution to improving the power and distance over which “wireless telegraphy” – as radio was usually called in those days – could be sent. The calendar’s pages turn and it’s now 1906. 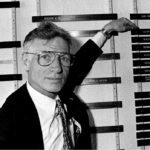 DeForest has succeeded (at least partially) in creating the key invention that would lead to the “electrical age” and many of the technologies we consider commonplace today. He’s created the first amplifier (a triode vacuum tube) called the Audion. As a historical note, his vacuum tube would not have been feasible if Edison had not invented the light bulb a few years earlier, because the Audion’s glass vacuum tube was largely a derivation of Edison’s bulb designs. The invention of the Audion triode is crucial to this story because it created and introduced a new idea to the world: the concept of amplification, or the ability to make electrical signals more powerful. Until the Audion, this wasn’t part of the knowledge base of the whole electrical, wireless telegraphy and sound industries. The fuse had been lit! DeForest’s creation would explode into the early 20th Century. 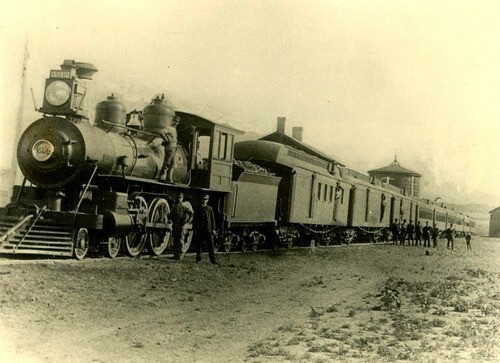 But just as these massive steam-powered engines would be replaced by faster, quicker, super-streamlined diesel electric engines, and then, less than four decades later by the astonishing 200 mph Japanese Shinkansen (bullet train), DeForest’s original triode would, within just a few decades, evolve beyond recognition. In the beginning, or for about the first decade (1905-1915) of the newly birthed age of electrical amplification, even the era’s best engineers were profoundly puzzled by the new, complex, and truly non-intuitive mathematics of vacuum tube amplifiers and oscillators. Remember that what we call electronic engineering today was, at that point in actuality, electrical engineering. Any development or improvement had to be focused on the only two things that had commercial backing – keeping AC power transmission systems in phase, and the monopolistic Bell Telephone System’s desperate need to improve the quality and reliability of long-distance telephone service to prevent the (U.S.) government from allowing potential competitors to enter the fray. 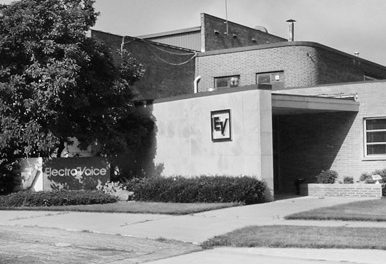 There were huge profits at stake and the Bell System threw everything it had into the fray, and by about 1910, the company’s engineers had improved the unreliable and short-lived Audion by increasing the vacuum, removing manufacturing impurities, establishing the requirement for negative bias, and creating the first viable mathematical models of diode rectification and triode amplification. In 1919, the Radio Corporation of America (RCA) was created as a U.S. government designated monopoly to improve and rapidly deploy the triode vacuum tube for improved radio reception. The direct result of this decision was that RCA ended up controlling most of the patents for advancements and enhancements to the basic triode design vacuum-tube technology for the next two decades. It’s important to recognize that while the Bell System, RCA, and DeForest were hard at work, others were also making major contributions to the new world of electronics and electrical technologies, including Major Edwin Armstrong (inventor of FM radio), Guglielmo Marconi, and dozens of others hidden by the passage of time. For those who may be interested, a web search under any of these names will quickly produce a wealth of information. So, in less than two decades we went from the crude, fragile and unreliable Audion to being able to effectively design and produce audio and radio-frequency (RF) amplifiers of considerable complexity and sophistication. Many of those early triode designs are still being used with little change today in the esoteric world of hi-fi aficionados. In less than 15 years we went from the simple Audion to a recognizable amplifier-driven PA system. It’s worth remembering, when we congratulate ourselves on the rapid progress of the Internet and its technologies, that the entire field of electronics went from a strange laboratory curiosity in 1906 to the first AM radio broadcasts by KDKA (Pittsburgh) in 1920 to a mature, fast-growing field (dominated by enormously profitable monopolies) at the beginning of the ’30s – a span of less than a quarter of a century. The next round of development was driven by the motion picture industry, which quickly discovered that improved fidelity (from optical sound, more powerful amplifiers, and better loudspeakers) deepened the emotional effect of the soundtrack. For the first time in the history of the movie industry, sound quality – even if it wasn’t consciously noticed by the audience or the critics – became a powerful and profitable box-office draw. • 2- and 3-channel stereo sound demonstrations by RCA, Western Electric, and Alan Blumlein, and the first full-length movie to use a multichannel soundtrack, Walt Disney’s Fantasia, released in 1940. • Low-distortion, full-frequency-range microphones, phono pickups, amplifiers, and loudspeaker systems from Western Electric, RCA, Decca, EMI, and others. The most advanced equipment was used for transcriptions of radio shows (via 16 and 33 rpm acetate masters) and in high-end radio sets. • Electroacoustic analysis and modeling of microphones, moving-coil cutterheads, optical modulators for movie soundtracks, phono pickups, direct-radiator loudspeakers, and theater horns. On the power amplifier front, the first widely used vacuum tube was the directly-heated (usually battery powered) RCA 01A direct-heated triode launched in 1922. This became the general-purpose tube of the ’20s. By 1936 the first of many “watt races” began with the introduction of the 6L6 and KT66 pentode. 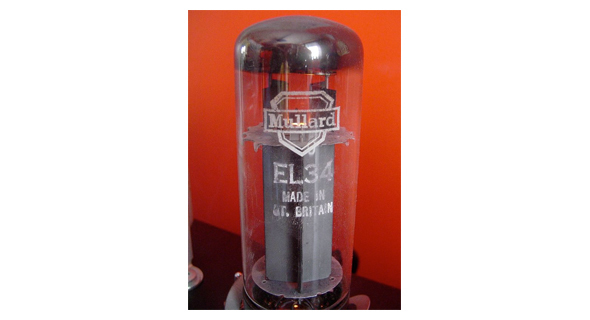 By 1951 tube technology was reaching its penultimate capabilities (at least for the technology, materials, and manufacturing capabilities of the day), with the appearance of the soon to be ubiquitous EL34 vacuum tube. In quick succession, audio power amplifier capabilities benefited from the EL84 in 1953, the 6550 and KT88 in 1954, and last in the power pentrode series, the 7591 in 1959 and the 8417 in 1963. (The 6L6 – a beam tetrode with a similar range of power output – has been in continuous production since 1936, a record unmatched by any other electronic device. We all owe electric guitar players a big thank you for keeping the tube factories open. But, as with steam engines, the end of the tube-only power amplifier was in sight. Although almost unnoticed at the time, in 1947 John Bardeen and Walter Brattain, working at Bell Telephone Labs, were trying to understand the nature of the electrons at the interface between a metal and a semiconductor. They had realized that by making 2 point contacts very close to one another, they could make a 3-terminal device – the first “point contact” transistor. They promptly made a few of these transistors and connected them with some other components to make an audio amplifier. It was shown to chief executives at the company, who were astonished by the fact that it was “instant on” – it didn’t need time to “warm up” (like the heaters in vacuum tube circuits). Shockley had developed a so-called junction transistor, which was built on thin slices of different types of semiconductor material pressed together. The junction transistor was easier to understand theoretically and could be manufactured more reliably, eventually coming to dominate early transistor development. Now the charge of the solid-stage brigade began in earnest. By the early to mid-1960s the professional audio world had seen the arrival of the Altec Lansing 1590 Series, Crown DC300, and within a few years, the powerful BGW 750, and the legendary Phase Linear 700 – plus many others too numerous to mention here. All of the sudden, audio power amplifiers could produce 150, 200, 300-plus watts per channel, with the loudspeaker market racing to develop products that could utilize this “enormous power capability,” as one transducer manufacturer phrased it. Left to right: Altec Lansing 1590 Series, Crown DC300, and BGW 750. So in just over a half century, we went from a barely noticeable laboratory curiosity (the Audion) to devices that could produce hundreds of watts – and remember, this feat had been deemed “impossible” by the early engineers. We had reached the next chapter of the amplifier story. 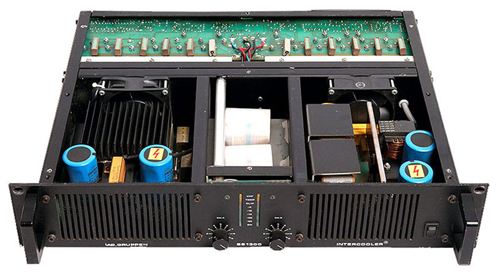 The two decades from the mid ’60s through the mid ’80s were a time of evolution and experimentation in the professional power amplifier world. Although conventional class AB bi-polar hardware remained dominant, many innovative ideas were unveiled. For example, both Spectra Sonics and Altec Lansing introduced what would be considered the first relatively high power (80-watt) modular card cage amplifier systems, while several companies experimented with mixed topologies such as class AB+B or various power supply configurations like class H and class G, and the first class D digital power supply units appeared (and then disappeared for many reasons). Several companies entered the market, most of which have also since disappeared or been acquired by others, but they did accomplish one goal: pushing the power envelope ever higher while evolving and improving both reliability and stability of the whole segment, even if they did so through their failures. However, the key factors at work during this timeframe were development of higher power solid-state devices and the maintenance of the mono or 2-channel status quo configuration. The available power per channel rose slowly towards the 500-watt mark and then exceeded it as newer high current power devices appeared, but the mono and stereo framework stayed put. It was a situation that needed a better solution. The amount of space in fixed install, and the amount of weight and space taken up by power amplifier racks in the tour industry kept rising exponentially as bigger and larger demands were placed on sound system power requirements. Monster tour sound systems were driven by amplifiers housed in dozens of road cases, and mega stadium installs had rack room(s) full of several hundred amplifiers. Weight also became a serious problem (especially on the live/tour side of the business) as power output increased. If you wanted higher power, you needed a bigger power supply to produce it, meaning bigger and heavier transformer(s) and larger capacitors to provide that raw current and voltage. The immutable laws of physics just wouldn’t get out of the way, yet neither would the demand for more power. Everyone knew there had to be a better way to achieve these goals, but it wasn’t until the mid ’80s that a set of solutions combined to answer the key questions. As is often the case with major technological leaps, it took two separate developments and the fortuitous timing of one of them to bring about the next step in power amplifiers: the move from 1 or 2 channels to 4, 6, and 8 channels in the same or just barely larger chassis, and the logarithmic jump in output power. But the beginnings of this major shift were quietly hidden in the Swedish countryside just outside the small city of Kungsbacka. In 1979, working out of a local electronics repair shop, Kenneth Andersson and Dan Bävholm founded what would become Lab.gruppen. The first products were not amplifiers, but consoles. It wasn’t until 1986 that the first of the two breakthroughs occurred. Twenty years after the Crown DC300 forever changed the perception of solid-state (transistorized) “high power” amps, Andersson and Bävholm developed the Regulated Switch Mode Power Supply (R.SMPS). The basic concepts behind a switched mode power supply were known at the time, but difficult engineering challenges had prevented successful implementation in high-power amps; the components required to make it work were not yet available. It would take the second and serendipitous development to make the idea feasible. Engineers at Siemens in Germany had devised the ability to produce high-current-capable Metal Oxide on Silicon Field Effect Transistor (MOSFET) devices, although the target customers were not the small pro audio industry’s power amplifier manufacturers. 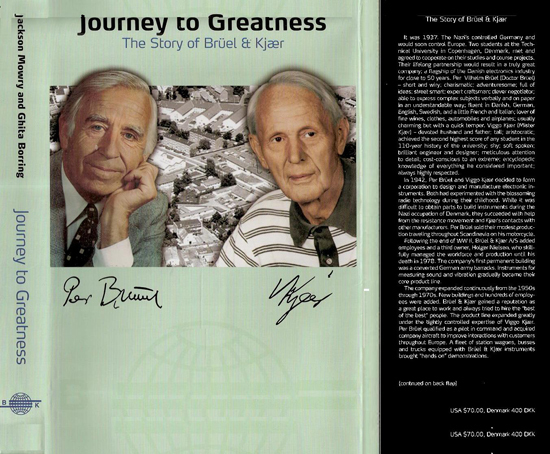 Nevertheless, these devices allowed Andersson and Bävholm to implement a new amplifier topology and introduce the 2-channel SS 1300, followed by the first true high power multichannel amplifier, the 1200 Quatro, a 4-channel model capable of generating 380 to 450 watts per channel from a single 2RU chassis. This was followed by the even higher power SS 1400, which also led to the development of more advanced finned heat sink, forced air cooling tunnel designs to enhance stability and reliability. However, this design had an inherent flaw: increasing temperature as air moved through the tunnel resulted in uneven cooling of the output devices. The problem led to development of the Intercooler (first implemented in the SS 1300), wherein the heat-sink comprises thousands of tiny copper fins that dissipate heat far more efficiently than large aluminum fins. Also, the Intercooler – with output devices embedded – is mounted transverse to the airflow, so all devices benefit from uniform cooling. Like its automotive and aircraft engine namesakes, this technology allowed the rapid development of amps where the heat produced by 2, 3, and 4 kW worth of output devices could be effectively managed. The 2-channel Lab.gruppen SS 1300 with Intercooler technology. It didn’t take long for power amplifier manufacturers around the globe to develop and introduce their own unique variations on this theme. Within less than five years there were no less than a dozen high-power 4-channel products available, and very rapidly after that, 6- and 8-channel variations. Suddenly it seemed as if a single amplifier chassis capable of 10 kW was no big deal. Well, actually there were some significant birthing pains, mostly centered around handling the massive current draw placed on AC mains power feeds. It took a while to develop the needed hardware and software to effectively manage that set of issues, but the upside is that it also produced “smarter” amplifiers with built-in intelligence and eventually DSP capabilities. So in the end, the initial pain was a positive force in producing a new level of capability. But as with any new technological development, there are benefits and cautions to be aware of. To expound on those issues we asked several manufacturers to address three core topics related to multichannel amplifiers. What are the important technical challenges of multichannel amplifiers? Marc Kellom, senior director, engineering and marketing, Crown Audio: “Very few people consider a 2-channel amplifier to be ‘multichannel’ but it really is – and most of the considerations for choosing a 2-channel amplifier apply to a 4, 8 or higher channel-count product. The most fundamental consideration: am I trading something away for the benefit of more channels in a (presumably) smaller space? If so, what am I trading? “Trade-offs can happen in several areas: output power, reliability, flexibility, ease of use, or audio performance. In terms of output power, most often this is a question of power supply size and capability. As channel counts go up, and rack space stays the same, the most likely place for a designer to compromise is on the power supply. The audiophile ‘brute force’ approach of an individual supply per channel is not commonly used due to size and cost. “The alternative is a single supply shared across many channels, but can the power supply deliver 1) full rated power; 2) across all channels; 3) driving the most difficult load; 4) with all channels driving the same signal in-phase? Example applications include driving passive monitor mixes, individual MF or LF drivers, or a large number of distributed loudspeakers. Any of these common uses can present the power supply with heavy demands. Matt Skogmo, director of hardware engineering, QSC: “If there’s one common trend in the install and contractor market space, it’s that installations are getting more complex, not less. One strong theme in this trend is the mix of high-performance and distributed audio. It’s very common to have portions of an install that are geared toward higher output, higher fidelity, low-impedance loudspeakers, and other portions that are geared toward ‘acres of speakers’ or 70/100-volt distributed systems. “To deal with these requirements, we’ve come up with an interesting method of reducing the number of amplifiers needed to address a variety of power points: Flexible Amplifier Summing Technology (FAST). Effectively this technology allows amplifiers channels to be configured in both bridge mode and in parallel mode. For example, a traditional 4-channel amplifier might allow you to bridge channels 1 and 2 and/or bridge channels 3 and 4. Klas Dalbjörn, product research manager, install & tour, Lab.gruppen/Lake: “As more amplifier channels are packed into a single product, a major challenge is just being able to fit everything inside the product. On top of this, the internal cooling solution is critical because there are so many ‘hot spots’ inside a densely packed multichannel product. In our 4- and 8-channel designs, we’ve used front-to-back parallel cooling to ensure that all channels are effectively cooled equally. What are the primary technical considerations when using multichannel amplifiers compared to 2-channel amplifiers? QSC’s Skogmo: “Based on our internal technical data, an amp with FAST could be configured such that the first three channels (A, B, C) are placed in parallel with each other and connected to a 2-ohm concert subwoofer array, and the remaining channel is connected to a distributed 100-volt line. That subwoofer will get about three quarters of the total output power, while the distributed line still has over 1,000 watts of power available. Crown Audio’s Kellom: “As channel count increases, the number of components and interconnections increase, and the number of ‘eggs in one basket’ also increases. A failure in a common power supply will take out more of the overall audio system than in the days of 2-channel products. An 8-channel amplifier conceivably has 4 times the opportunities for a defect compared to the 2-channel version of the same product. Internal temperatures are also increasing as power density goes higher. Kellom: “Bridging can present another possible area of compromise. If the power supply is under-sized for the task, or the amplifier is not bridgeable due to internal design considerations, has flexibility really increased? If an 8-channel amplifier can only drive 6 channels to full power and the other 2 must be lightly loaded, will that provide what you actually need for the task at hand? To close, let’s review. Just over a century ago the first audio amplifier was created – the Audion. One hundred and some years later, we’ve advanced to the stage where there are 4, 6, 8, and even higher channel-count amplification devices that can generate almost limitless audio power. The real question is how to apply the technology and insure that reliability, safety and quality don’t get lost in the race for more. It pays to remember that the original idea behind packing 4 channels into a single chassis was to save space and weight for live sound applications, and this conveniently translated into the same ability to save space and thus cost for fixed install applications. Everything else that this revolution has given to audio amplification technology, including DSP, intelligent networkable control, and many other features too numerous to list here, came along for the ride but in the end proved to be as – if not more – useful than just having the ability to achieve higher power density. Frederick J. Ampel has been involved in the pro A/V industry for nearly 40 years. His career has included work in live sound reinforcement, broadcast audio production, systems design and installation, systems integration, hardware design and development, and residential small room acoustics.